HiETA has developed an in-depth set of high-performance turbomachinery technologies for both stationary and rotating components. 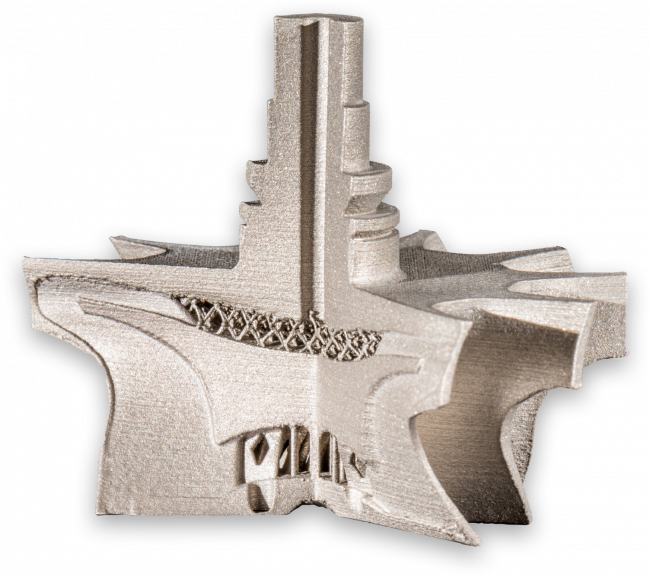 Exploiting the design freedoms of Additive Manufacturing, large performance gains and mass reductions have been realised. HiETA Technologies have designed and tested a lightweight and internally cooled Radial turbine wheel, capable of operating at 1200°C turbine inlet temperature. By increasing the turbine inlet temperatures to 1200°C, the thermal efficiency of the turbine stage is drastically increased, and thus the overall efficiency of the engine system can be increased. 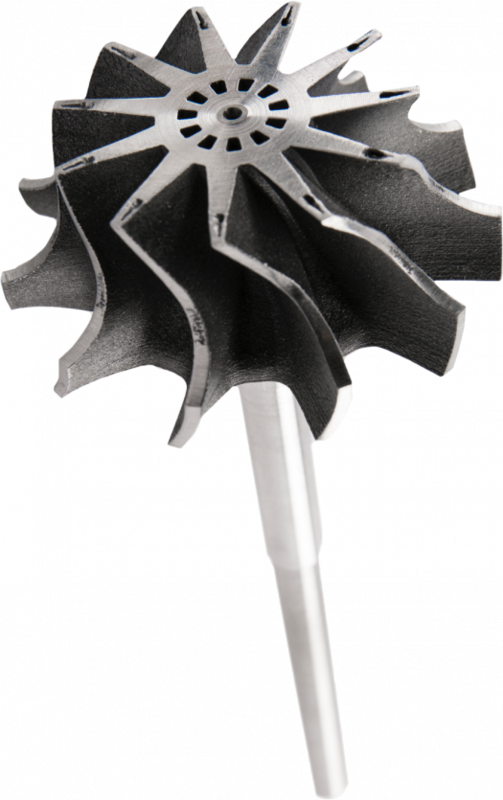 Actively cooling the turbine wheel, increases the component life and by light-weighting the wheel, inertia is reduced and so spool up times are quicker, as well as reducing wear on bearings. Mass reductions of 22% have already been realised, with the potential to increase to 40-50% depending on the application. Temperature reductions of 60°C at LE and 100°C at TE have been physically demonstrated vs a solid wheel at turbine inlet temperature of 720°C, with reductions of 200°C at LE, 250°C at TE expected when turbine inlet temperatures are 1200°C. In collaboration with other partners, HiETA Technologies have developed solutions for cooled compressor volutes resulting in a temperature reduction of up to 37 °C and pressure reduction of up to 13%.